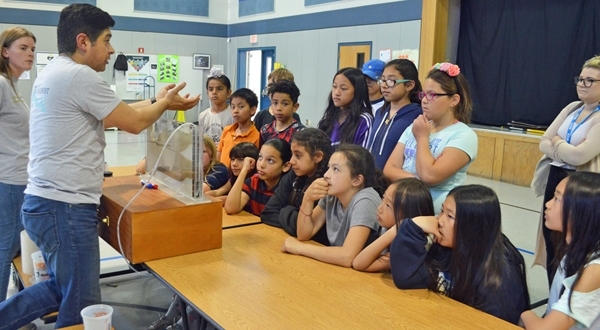 Dr. Sam Sandoval shows afterschool program youth a groundwater model. Photo by Marianne Bird. So began Samuel Sandoval's presentation on groundwater science to students at Sierra Enterprise Elementary School's afterschool program. The youth, guided by their afterschool program leader, had completed their 4-H Water Wizards project and were rewarded with a visit from Dr. Sandoval, a University of California (UC) Cooperative Extension Specialist in Water Resources. While not every afterschool site receives a visit from a UC professor with an amazing groundwater model – who also speaks Spanish! 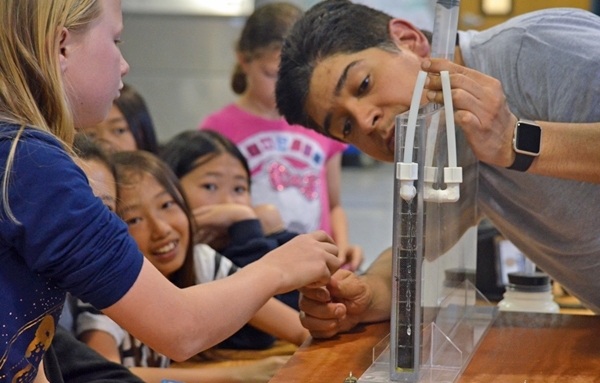 – youth attending programs in the Sacramento area learn about water through 4-H Water Wizards. Programs at schools, after the bell rings, have become standard across the state and nation. These sites seek learning experiences that complement what children receive during school hours and 4-H, a program of the UC Division of Agriculture and Natural Resources designed with non-formal educational settings in mind, is a natural fit. All youth need an understanding of water and its importance to the planet. This is especially true in California, where water is scarce and the public discourse about water is on-going. Therefore, it is imperative that residents understand and value this natural resource and can make decisions—both personal and political—from an informed position. This begins with education to help children understand and appreciate water and its role in their communities. Afterschool program staff investigate water hardness in one of three training sessions (left), students trace where they hypothesize water will flow on their watershed model (center), and as part of a service learning project, a student demonstrates the effect of salinity during the water education fair (right). Photos by Marianne Bird. In 2015, only 38% of 4th fourth grade students in the U.S. scored at or above proficient in science. The gap in science literacy is especially prominent for youth of color. The need to improve scientific knowledge and critical thinking is pressing as these young people are the decision-makers and problem-solvers of tomorrow. Afterschool programs are eager for engaging, hands-on learning opportunities like 4-H Water Wizards, and the flexibility and openness of afterschool hours allow for much more in-depth investigation than what students might receive in their classrooms. But the afterschool setting is not the classroom: paraprofessionals work afterschool, not credentialed teachers; the setting can sometimes be chaotic without dedicated space; staff turnover is frequent; and most jobs are part-time. How do we make the partnership between 4-H and afterschool work? 4-H Water Wizards educates 4th, 5th, and 6th grade students about water and its importance to the planet. Youth have the opportunity to develop their skills in science, understand the importance of water, and learn they can make a difference on water issues where they live. Created by the UC 4-H Youth Development Program in Sacramento County, and reviewed by water specialists at UC Davis, the program is specifically designed for afterschool settings. Youth have a chance to interact with the groundwater model. Photo by Marianne Bird. Students build models, conduct experiments and surveys, and discuss issues, all of which encourage inquiry, teach basic information about water, and develop a sense of stewardship. The project aims not just to teach about water, but to allow youth to become scientists themselves, investigating and experimenting to create their own knowledge about this natural resource. Water and the environment: Understanding the water cycle, watersheds (natural and urban), pollution, and water conservation. Water properties: Experiments that explore water taste, salinity, density, and hardness. Making a difference in our community: Why volunteer? Choosing, planning, and delivering a community service project. Afterschool program staff deliver the project, and 4-H provides curriculum, training, and materials. Students also attend a field trip to the American River Water Education Center, and design and carry out a service project on a water issue in their community to culminate their work. Initially funded through a grant from the National 4-H Council, the program began in 2006 and serves between 450 and 500 students annually in partnership with Elk Grove Unified School District and Sacramento START afterschool programs. Training: Paraprofessionals that work in afterschool programs bring varied knowledge about water and the process of facilitating inquiry-based learning. 4-H staff provided three, three-hour training sessions for those who deliver the curriculum, one for each project component. Participants experience the activities they'll facilitate with students. This builds competence and confidence. 4-H provides ongoing support. Materials: From water samples to hydrometers, afterschool personnel leave training with everything for program implementation. Grants from City of Sacramento Department of Utilities Stormwater Quality Improvement Program provided Environscapes for loan. In the sometimes unpredictable world of afterschool, this helps guarantee the lessons will be delivered as planned. Materials are reused from year to year. 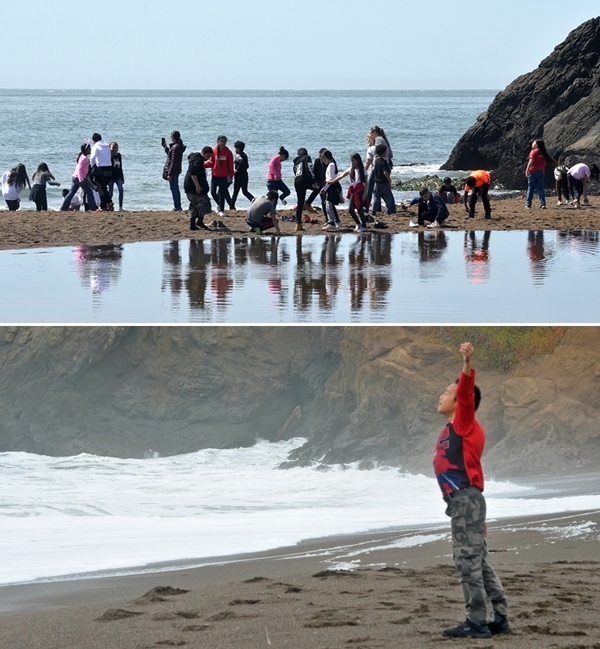 Youth on a field trip to see the end of their watershed: the Pacific Ocean. For many, it was their first time to the beach. Photos by Marianne Bird. A comprehensive program: The program doesn't just teach kids about water, it encourages inquiry and exploration, provides a trip to see a dam, builds understanding about water issues like pollution and use, and encourages active civic engagement through service. Youth explore a variety of facets about water and (hopefully!) decision implications. This year funding through Sacramento County Department of Water Resources 2017-18 Watershed Stewardship and Education Grant allowed additional trips for 100 students to the San Francisco Bay-Delta Model and to see the Pacific Ocean, the terminus of our watershed. For many kids, it was their first visit the ocean. 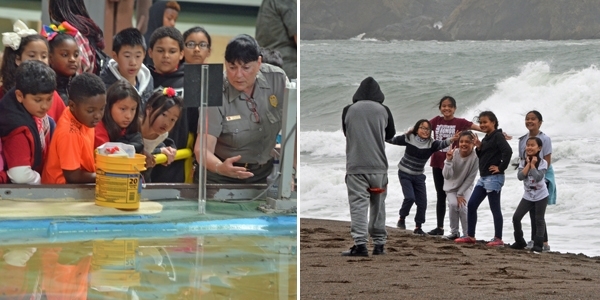 As part of their fieldtrip, youth visit the San Francisco Bay-Delta Model and Pacific Ocean. Photos by Marianne Bird. This brings us back to Sam, holding a dozen kids in rapture with his groundwater model.  He speaks their language and offers a glimpse of the scientist they might aspire to become. This afternoon he's offered experiences to build their understanding. He has them add colored “polluted” water to model. “Eeeww!,” they exclaim in unison as a girl extracts blue water from the well using a syringe. Lesson learned! Marianne Bird is a 4-H Youth Development Advisor with University of California Cooperative Extension.